The universal testing machines of the Stentor II CC are the most advanced version of the Andilog product range. They are designed to perform complex tensile & compression material testing, in quality control, production or laboratory environments. Computer controlled it is the perfect equipment for your multi-stages tests and it guarantee reliability & traceability of your all test results very easily. This testing machine is equipped with an S load cell and offers high performances in terms of precision and repeatability. 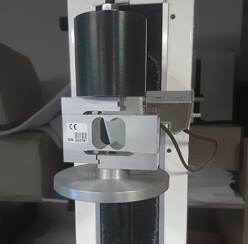 It is possible to connect various load cells with different capacities on the test stand thanks to the technology of automatic recognition of the SPIP sensors of Andilog. The movement of the sensor is done through the mobile slider guided by a precision rail which enables a low friction and low-maintenance, pre-stressed ball lead screw which guaranties a minimal slack. The table of the test stand is equipped with threaded holes which enables the fixture of tolling and clamping jaws for a better maintenance of the samples. The great dimension of the table is adapted to samples with a diameter up to 200 mm (7.87 in). The new designed interface of the software Califort has been fully optimized to offer a better experience to the users and administrators. With its clear and well-organized interface, it facilitates the treatment and usability of you test data for faster and efficient daily use. Califort comes with an extensive list of pre-defined calculations, which can be performed automatically during your tensile or compression tests. It includes standard calculations such as the maximum, minimum, average, or the break force but also more sophisticated calculation such as the modulus of elasticity, slope calculation by the method of least squares etc. The movements of the testing machine Stentor II CC are defined in Califort under motion sequences form. Each sequence can be customized to run up, down, at different speed and with a stop condition (i.e. breaking point, force at position, time, travel position etc. It also offers a cycling feature for repetitive action with a limit of 255 cycles - for instance: pull 5 times on a cable before measuring its tensile strength or achieve 3 pre-loads on a spring before measuring the stiffness. 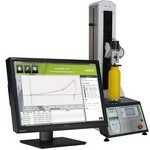 The testing machines Stentor CC incorporate a control and measuring interface in its frame. The manual driving console permits to control the movements of the crosshead of the machine and makes it easy to come into position over the sample before starting the measurement or adjust the first tests. It displays in real time the speed of displacement and the position. The speed of displacement can be adjusted). 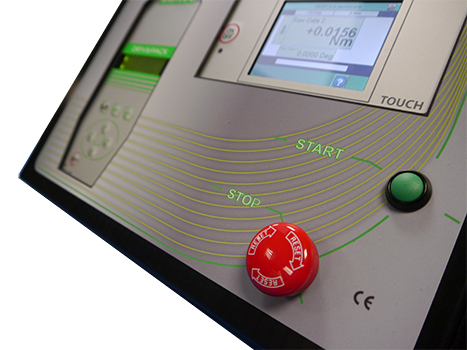 The measuring interface is composed of a color touch screen which enables an utilization of the Stentor without computer for the small adjustments. 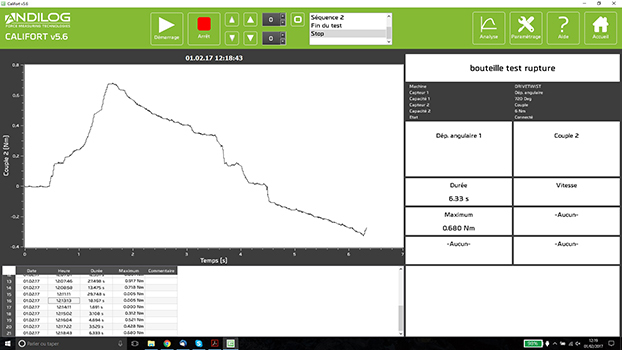 This interface displays in real time the measured force and displacement. Determine the kinetic (moving) and static (starting) resistance of one material according to the ASTM D1894 with our friction fixture COF1894. Self closing wedge clamp for all-purpose testing with a force gauge up to 1000lbs, fast clamping action on metal, plastic, rubber, wires and many other materials.